The Solution has an adjustable rig to keep the rig working efficiently throughout the wind range and cater for a variety of helm weights (68-90kg weight range in the top 5 at the 2012 Nationals). This enables the Solution to stay very well balanced – no weather helm commonly associated with some single-handed dinghies! 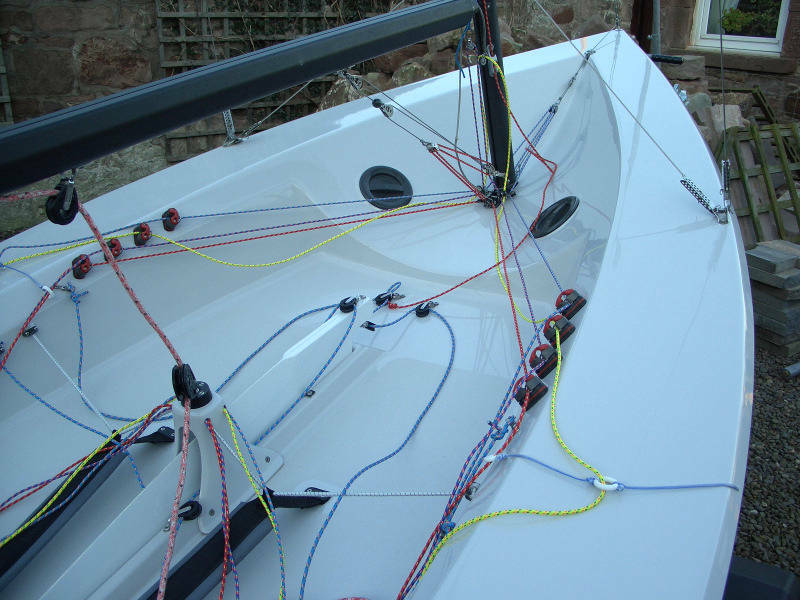 All boats are supplied with a full Harken fit out. There is some flexibility in the control line purchase allowed in the class rules to allow for personal preference and different sailing styles. A number of sailors change the downhaul to a 8:1.